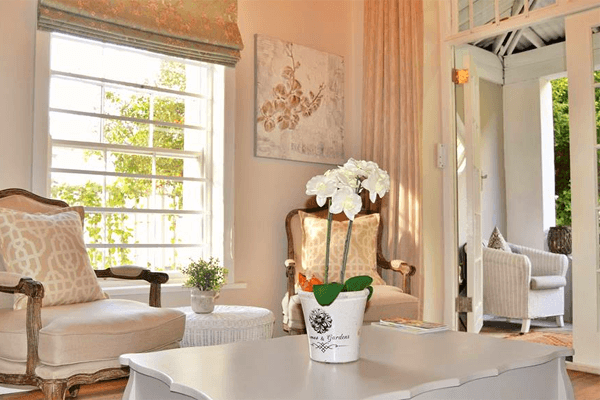 Afrika Pearl lies in the centre of Paarl just below Paarl Rock only 60 km from Cape Town. 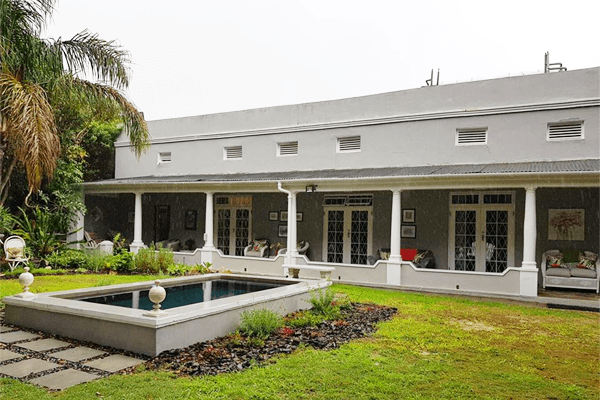 Owner`s Johan and Christelle van Rensburg are the hosts that welcome you to their historic guesthouse, within walking distance of many historic landmarks; museums, monuments, restaurants and pubs. 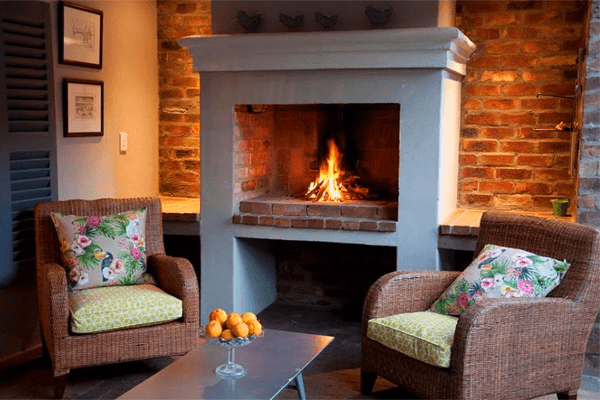 The perfect base from where the discerning traveller can explore the winelands, cheese and olive farms as well as many boutique styled working farms. 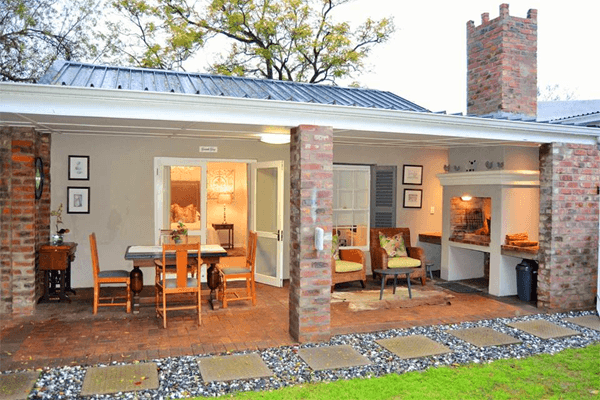 Johan van Rensburg is the uncelebrated architect that designed the private home Nelson Mandela lived in on the grounds of the Victor Verster prison. 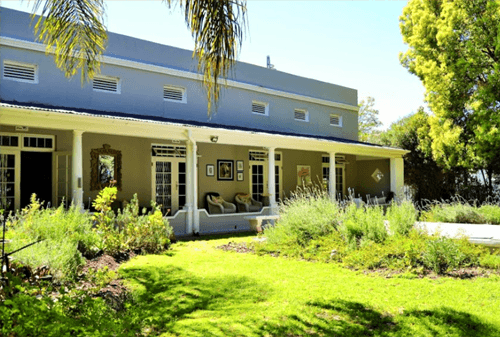 He is the third generation van Rensburg, born in this historic house built around 1900! 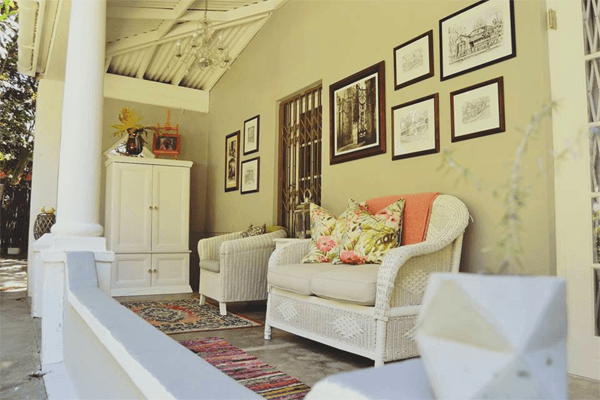 When his parents had to move to a secured old age home, he could not get himself to sell the home steeped in history and decided to lovingly refurbish it, move back in and share the glory of the unpretentious farm styled home with visitors. Johan is an absolute walking encyclopedia on Paarl and its surrounds and knows hidden gems like the botanical gardens with natural Lilly ponds hidden away in the mountains, secret dirt roads on Bainskloof pass and many more historic treasures not to be found by the accidental tourist. …She loves spoiling guests with her home cooking and many a traveller has had the unexpected cheese and fruit platter or homemade cookies delivered to their door. 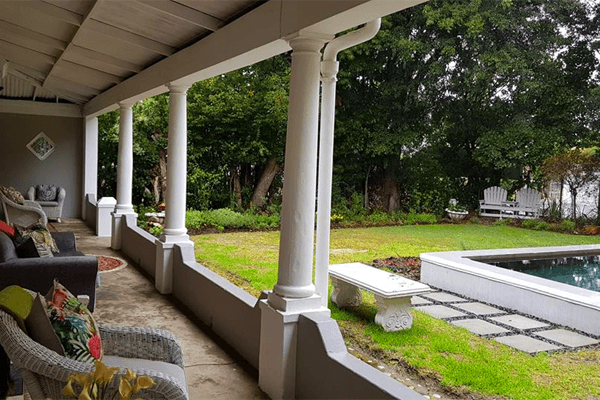 Christelle is also the one who makes sure that guests perfect the art of “stoep-sit” The Afrikaans “stoep” is built around the “plaashuis” (farm house) and is similar to the English or American veranda. It was built by the Afrikaans speaking “boere” (farmers) around their rectangular or square farm houses in order to shield these houses from the scorching African sun.”Stoep-sit” was done early in the mornings or late afternoons when cooler air breezes would appear. Early mornings were the time to have “boeretroos” (Coffee) and “beskuit” (rusks). 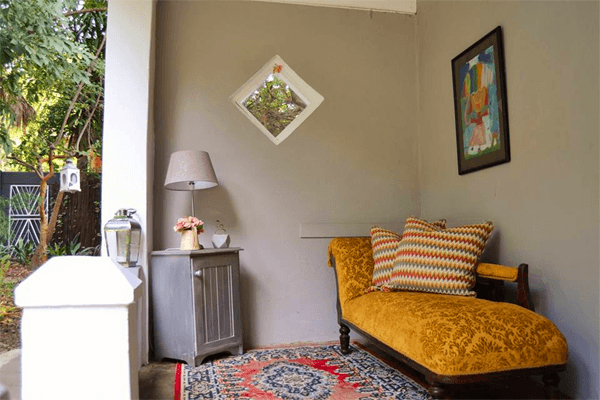 Late afternoons would be time for “boeretroos” and homemade “koekies” (cookies) We hope to welcome you to our home in order to also practice the art of “stoep-sit” , finding tranquillity and serenity in order to revive mind, body, spirit and soul! 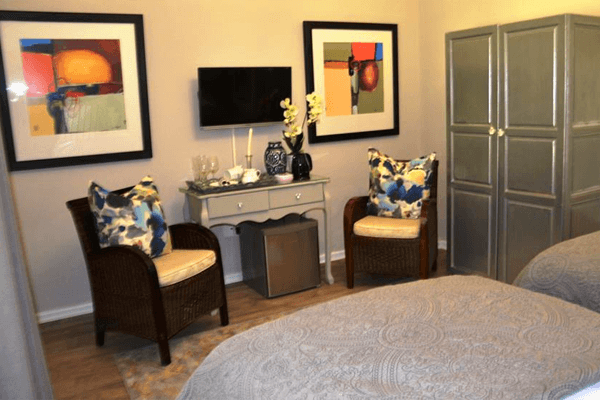 3 rooms each with double doors leading to a patio with a garden view. 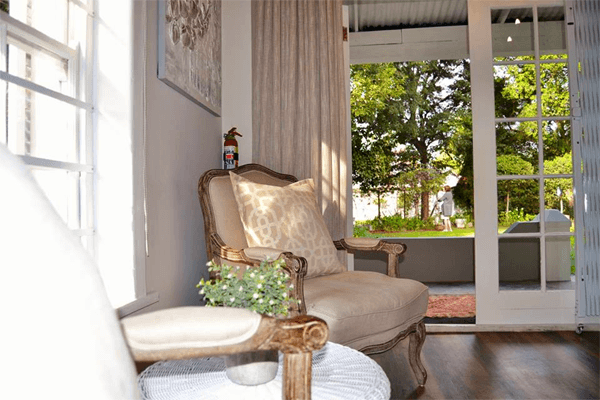 1 cottage with a “stoep” and private garden and braai area. 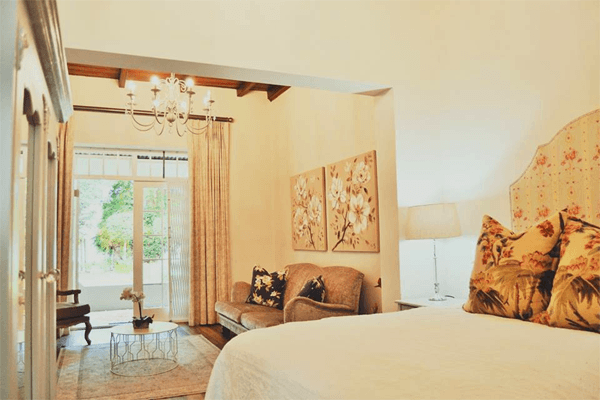 double beds in tranquility, die patriot and granite grey rooms. 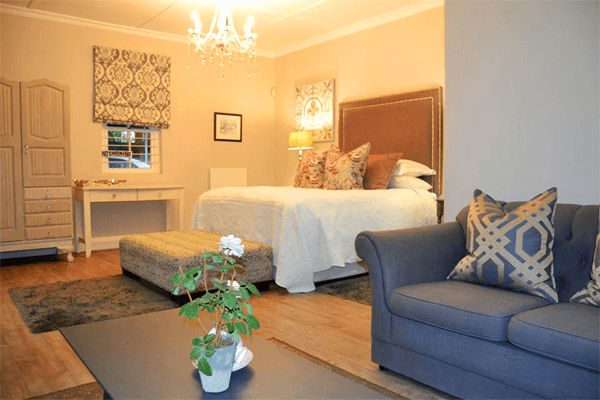 - 2 X single beds in die perel room. 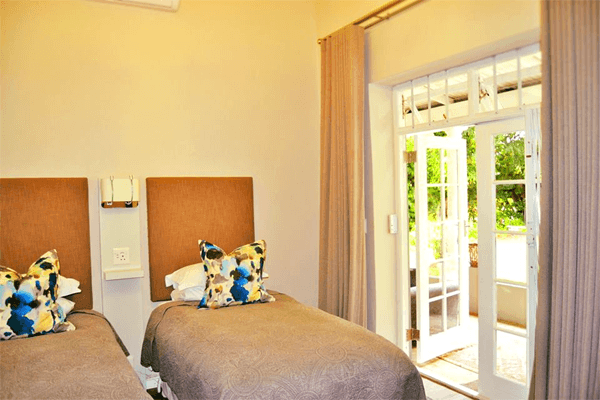 - All rooms have wardrobes and clothes racks. - All rooms have suitcase stands. 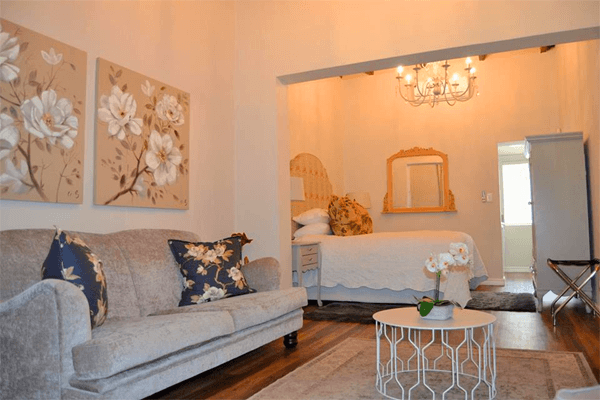 - All rooms have a seating area and a desk and chair to use for writing or checking e-mails. 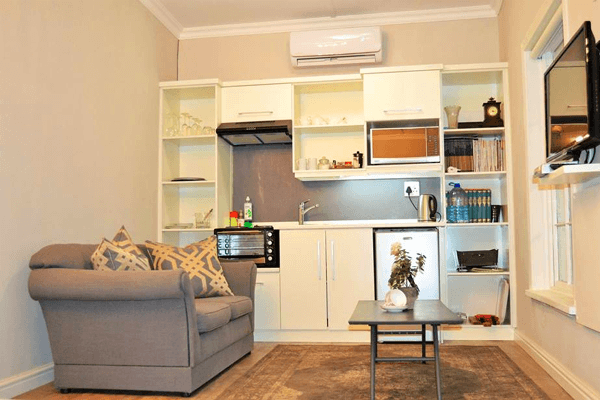 - Equipped with coffee and tea making facilities. 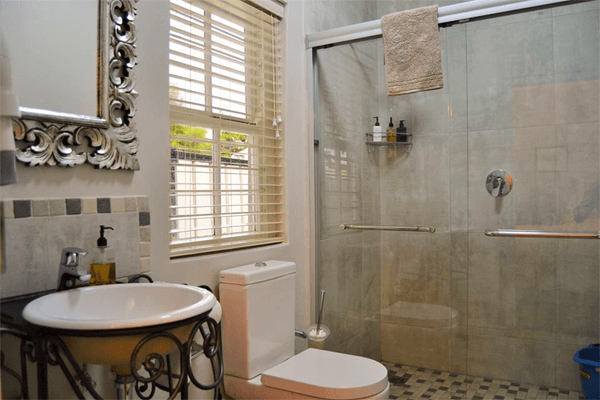 - The Cottage is equipped with a kitchenette. 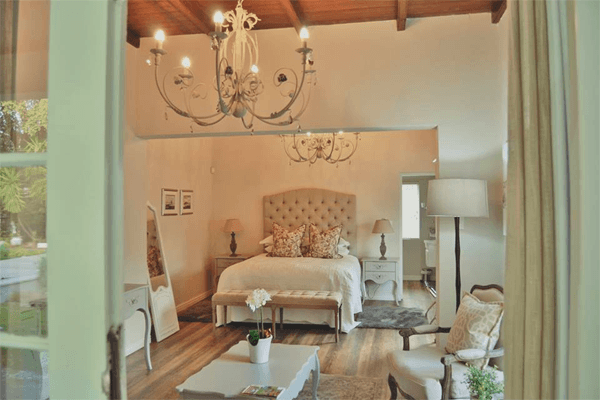 The Cape Winelands is the perfect romantic setting for a dream destination wedding. Afrika Pearl Guesthouse is a safe haven from where you can plan your wedding. With 22 churches to choose from and some of the most breathtaking Boutique Winefarms in the Paarl for the reception, you will be spoilt for choice! 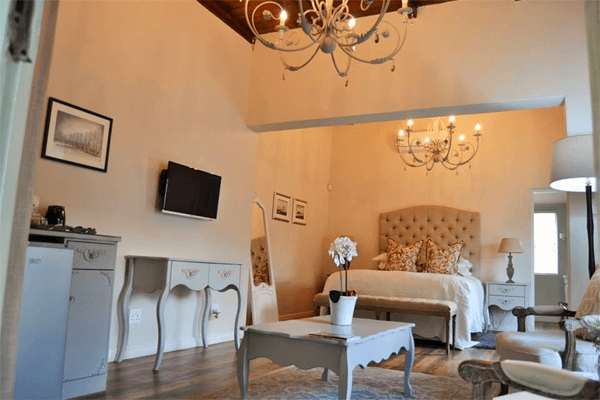 Our French provincial styled rooms and fully equipped Romantic Cottage; " Granite Grey", is the perfect setting for the bride and her bridesmaids to celebrate and feast, while getting ready for "going to the Chapel...and going to get married..."